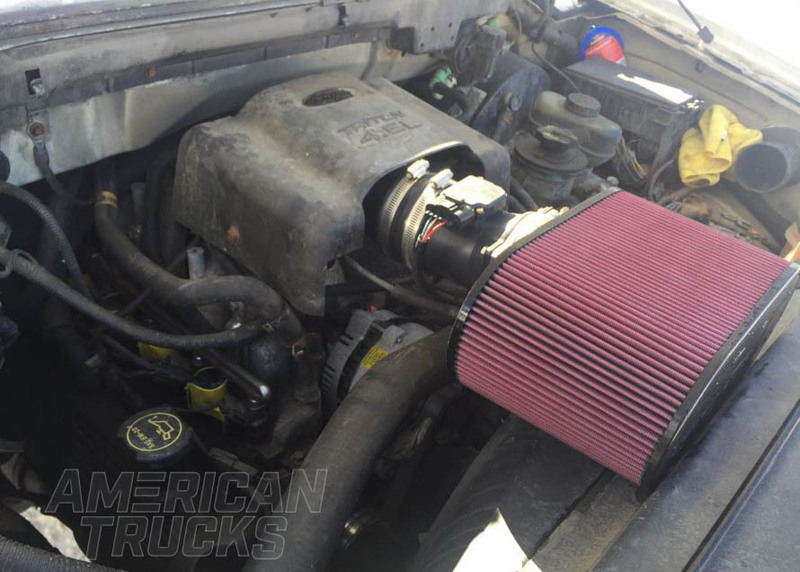 Styling your truck isn't always about getting more looks while pumping gas. Customizing your F-150 so it reflects you is rewarding in itself, and you can guarantee no one else will have your setup. The F-150’s production stretches back 65+ years and has been one of the most widely purchased pickup trucks ever made. Over the course of its production, the F-150 has been offered in a variety of different trims and sub-models that have appealed to truck lovers of all backgrounds. This guide will go over all of the F-150’s sub-models from 1997-2017. Carrying on the success of the 2011-2014 EcoBoost engine, Ford offered two EcoBoost engines for 2015-2017, the 2.7L and 3.5L V6. 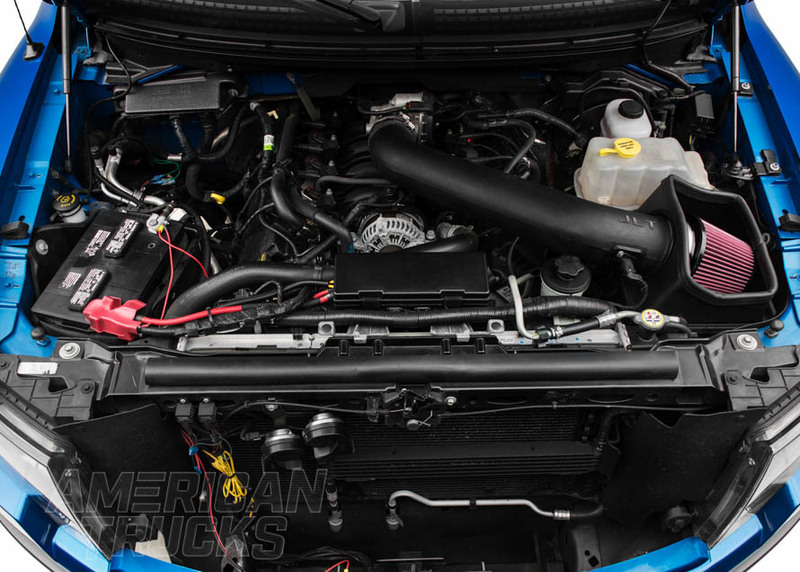 The 2.7L EcoBoost V6 measured in at 325 HP and 375 TQ while the 3.5L EcoBoost V6 made 365 HP and 375 TQ. The 2017 Ford Raptor offered a one-off version of the 3.5L EcoBoost V6, producing 450 HP and 510 TQ which shares its engine block with the Ford GT. Ford also offered the 3.5L V6 and the 5.0L Coyote V8. The 3.5L naturally aspirated V6 made 282 HP and 253 TQ while the 5.0L V8 made a staggering 385 HP and 387 TQ. The 6R80 6-speed automatic transmission was the only transmission offered, with the only exception being the Raptor’s 10-speed automatic that came out in 2017. Ford 2015-2017, Ford continued to hone in on what had continued to make the F-150 so successful, offering a variety of sub-models with a selection of features and offerings that appealed to just about every and any potential or existing truck owner. With everything from luxury to the bare minimum, the 2015-2017 F-150 offered something for everyone. The wheelbase dimensions did not change much from the twelfth generation of the F-150. The thirteenth comes in at 122.4” for a regular cab with a 6.5’ bed and 141.1” for an 8’ bed. The SuperCab bumped things up to 145” for the 6.5’ bed and 163.7” for the 8’ bed. The SuperCrew’s 5.5’ bed came in at 145” while the 6.5’ bed extended that to 156.8”. 2015-2017 F-150 XL: Offering the most affordable version of the F-150, the XL came back giving truck owners the essentials they need to get any job done. Arguably the most versatile version of the F-150, the 2015-2107 XL was offered with all four engines, including the 2.7L and 3.5L EcoBoost V6, NA 3.5L V6, and the 5.0L V8. The 2015-2017 XL F-150 was offered with all three cab and bed sizes and with either a 40/20/40 split bench front seat or bucket seats and a floor shifter. 2015-2017 XLT F-150: Offering more customization and features than the XL submodel, the 2015-2107 XLT F-150 brought a touch of modification to the F-Series with things like a chrome grille and upgraded trim. The XLT offered the same spectrum of features as the XL, coming in regular, SuperCab, and SuperCrew cab sizes with the 5.5’, 6.5’, or 8’ bed. The 2015-2017 XLT F-150 could be purchased with the 2.7L EcoBoost V6, the 3.5L EcoBoost V6, the 3.5L naturally aspirated V6, or the 5.0L Coyote based V8. The 40/20/40 split bench front seat was an option as well as having bucket seats with either a floor or column mounted shifter. 2015-2017 King Ranch F-150: The popular King Ranch F-150 returned in 2015 for a continued production in the thirteenth generation of the F-series. Named after the famous Texas rancher who was fond of the F-150, the 2015-2017 King Ranch was offered with only the 3.5L EcoBoost V6 or the 5.0L V8. With the SuperCrew Cab being the standard cabin size, the 2015-2017 King Ranch could be bought with either the 5.5’ or the 6.5’ bed. Keeping the interior looking spiffy, the King Ranch came equipped with bucket seats and a floor mounted shifter, complete with a custom leather interior. 2015-2017 Lariat F-150: One of the most popular sub-models due to its perfect mix of interior upgrades, exterior styling, and rugged F-150 performance, the 2015-2017 F-150 Lariat was offered with only the 2.7L or 3.5L EcoBoost V6 and the 5.0L V8. The 2015-2017 Lariat F-150 came as a SuperCab or SuperCrew and could be bought with the 5.5’, 6’, or 8’ bed. 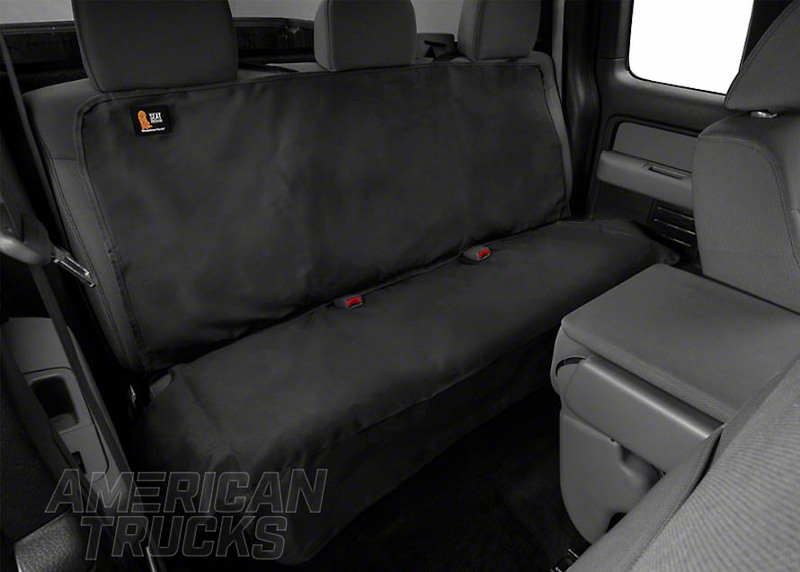 While all F-150s with a rear seat use a bench, the front of the 2015-2017 Lariat could be owned with either the utilitarian 40/20/40 split bench front seat or with bucket seats and floor shifter. Like the XLT, the 2016 F-150 Lariat had the option of being upgraded to a special edition that upgraded the interior and exterior styling of the F-150. The 2016 Special Edition F-150 Lariat had tinted headlights, black running boards, custom 20” aluminum wheels, a dark anodized grille, bodyside graphics, an upgraded interior with red contrast stitching, and two-tone seats with alcantara inserts. 2016 Limited F-150: Only offered for one year so far in the thirteenth generation, the 2016 Limited F-150 came back with a more luxurious take on the utility focused F-150. Only offered with the 3.5L EcoBoost V6, the Limited F-150 came only as a SuperCrew with bucket front seats covered in black and Mojave leather and a floor mounted shifter. Available with only the 5.5’ bed, the 2016 Limited F-150 had custom badging and a unique instrument cluster. An interesting feature on the 2016 Limited F-150, the rear seats were heated and it had genuine fiddle back eucalyptus and aluminum interior accents. 2015-2017 F-150 Platinum: Coming with only the 3.5L EcoBoost V6 or the 5.0L V8, the 2015-2017 Platinum F-150 continued the submodel’s tradition of offering a high-end take on the F-series truck. 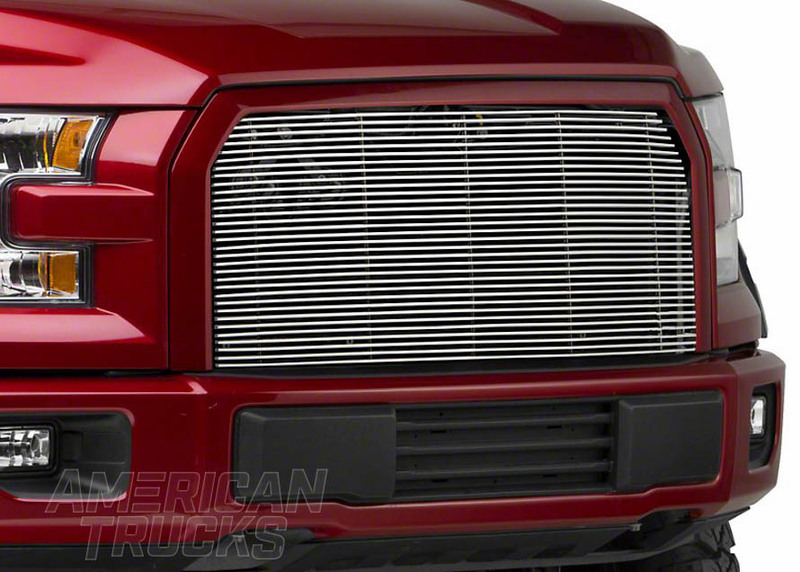 With standard chrome grille and chrome accents, the 2015-2107 Platinum F-150 was available only as a SuperCrew and with the 5.5’ or 6.5’ bed. Leather bucket seats and a floor mounted shifter with a center console are all standard features on ’15-’17 Platinum F-150s. 2017 Ford SVT Raptor: The 2017 Raptor was the first model year of the second-generation Raptor, following up on the success of the 2010-2014 first gen Raptor. Causing a good bit of infighting amongst enthusiasts, the 2017 SVT Raptor was only offered with a twin turbocharged 3.5L EcoBoost V6 engine making a staggering 450 HP and 510 TQ attached to a 10-speed automatic that came equipped with flappy paddles. The 2017 Raptor was available as a SuperCrew or SuperCab with the 5.5’ bed and utilized a FOX suspension setup once again. The 2017 Raptor added two inches of suspension travel over the first-generation Raptor, bring travel up to 13”. The 2017 Raptor used high-tech vehicle control technology that programmed it with six terrain modes, so its drivetrain can be adequately adjusted to take on any environment. The twelfth generation of the F-150 had the most engine offerings to date which included the 3.5L EcoBoost V6, 3.7L V6, 4.6l V8, 5.0L V8, 5,4L V8, and the Raptor exclusive 6.2L V8. The 2009-2014 F-150 saw a shift in focus with Ford offering less barebone base model F-150s while simultaneously offering more luxury and off-road ready F-150s. The twelfth generation of the F-150 was the first generation to come with automatic transmissions only. Either a 4-speed or 6-speed. The 2009-2014 had quite a few different wheelbase dimensions due to there being so many different submodel offerings. Regular cab F-150s with the 6.5’ bed had a wheelbase of 126”, and the 8' bed had a 144.5”. SuperCab F-150s with the 5.5’ bed had a wheelbase of 132.5”, the 6.5’ bed came in at 144.5”, and the SuperCab with the 8’ bed had a 163” wheelbase. SuperCrew F-150s with the 5.5’ bed had a wheelbase of 144.5” while the 6.5’ bed bumped the wheelbase up to 156.5”. 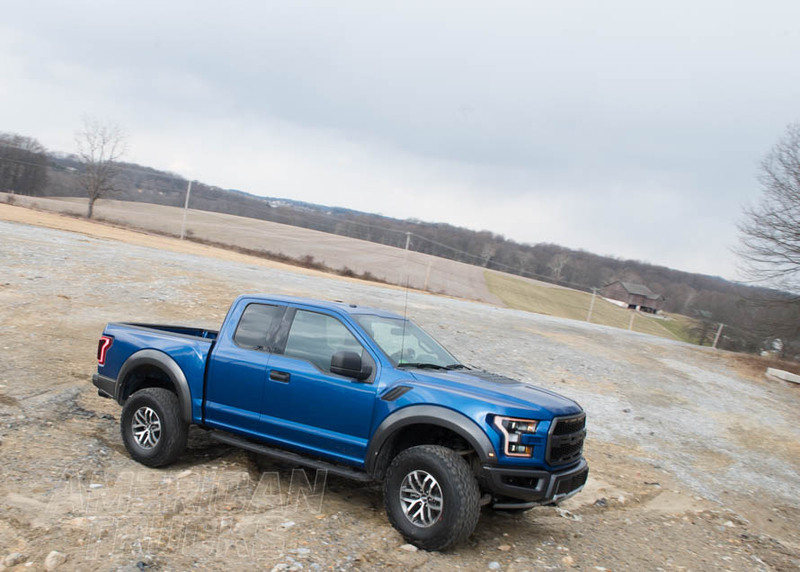 The Raptor came in two wheelbases with only the 5.5’ bed as an option which included the Raptor SuperCab’s 133.3” and the Raptor SuperCrew’s 145.2” dimensions. Although the 2009-2014 F-150 was offered almost exclusively as a styleside (no side steps on the side of the bed. Just a body panel), there was a flareside (wheel wells exposed on outside of bed. Also known as a step side) offered only in 2009 and with a 6.5’ bed. The flareside body style was available with all three cab configurations and in FX4, STX, and XLT trims. 2009-2014 XL F-150: The base offering of the F-150, the 2009-2014 XL, was available in all cab sizes and with every engine offered except for the Raptor exclusive 6.2L V8. Due to the shift in power plant production, 2009 and 2010 XL F-150s could be owned with the 4.6L or 5.4L V8 while the 2011-2014 F-150’s engine options were replaced with the 3.5L EcoBoost V6, 3.7L V6, and the 5.0L coyote V8. Available in regular cab, SuperCab, and SuperCrew cab configurations, the 2009-2014 XL F-150 was offered with the 5.5’, 6.5’, and 8’ bed sizes. 40/20/40 split bench seats were the only option for all XL F-150s, with rear bench seats being the only option for SuperCabs and SuperCrew F-150s. 2009-2014 XLT F-150: A step up from the XL, the 2009-2014 XLT F-150 offered a more refined interior and upgraded exterior while still keeping to humble roots. Offered in all three cab configurations and with all three bed options, the ’09-’14 XLT F-150 could be bought with either 40/20/40 split bench front seats or bucket captain seats and a center console. With upgraded chrome trim accents throughout the exterior, the XLT F-150 used the 4.6L and 5.4L V8 in 2009 and 2010, and used the 3.5L EcoBoost V6, 3.7L V6, and 5.0L V8 in 2011 through 2014. The XLT F-150 was available with both 4WD and 2WD. 2009-2014 King Ranch F-150: The third iteration of the King Ranch F-150 was debuted in 2009 and produced through 2014. Using Kodiak brown metallic paint and tan trim paint, the 2009-2014 King Ranch F-150 was available with only the 5.4L Triton V8 in 2009 & 2010, and either the 3.5L EcoBoost V6 or 5.0L Coyote V8 in 2011-2014. Outfitted with a premium brown leather interior, the King Ranch came with front bucket seats and rear bench seats. 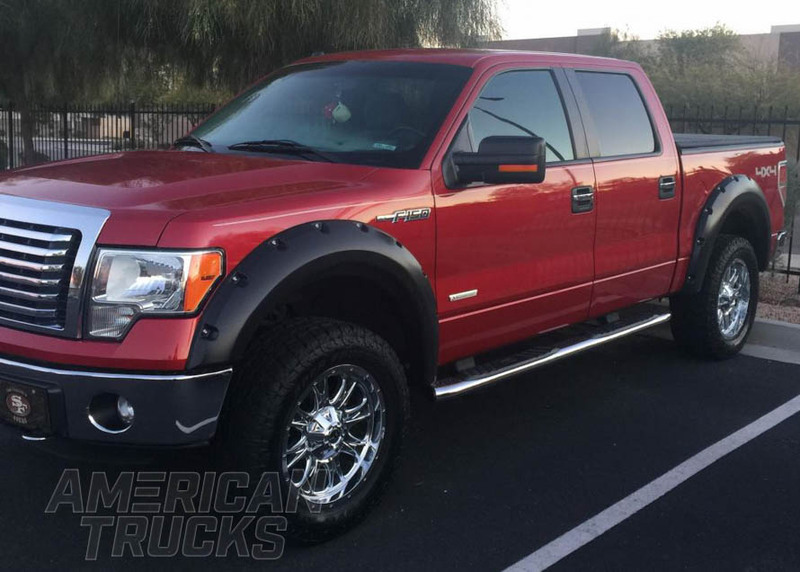 You could find a 2009-2014 King Ranch F-150 with either a 5.5’ bed or a 6.5’ bed. 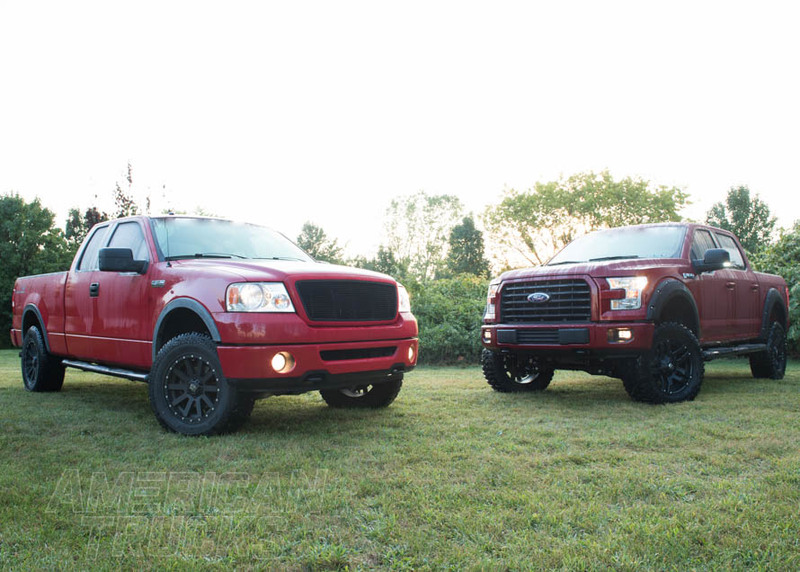 2010-2014 FX2 F-150: The sporty and quick 2010-2014 FX2 F-150 was a 2WD truck targeted to be more of a street truck than anything else. 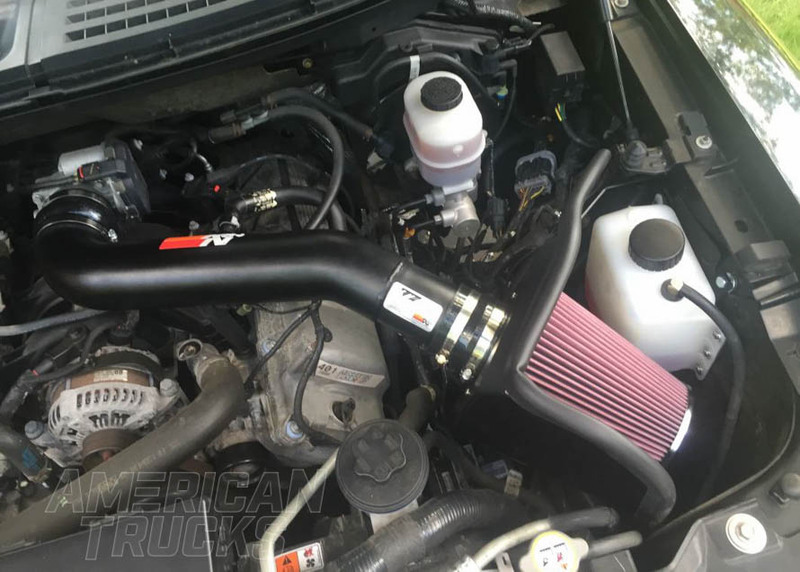 It was modified from the factory with exterior trim pieces and decals to give the F-150 a more appealing look while offering a range of engines designed to give it impressive street performance. The 2010 FX2 F-150 was only offered with the 4.6L V8 while the 2011-2014 F-150 was offered with both the 3.5L EcoBoost V6 and the 5.0L V8. For 2014. 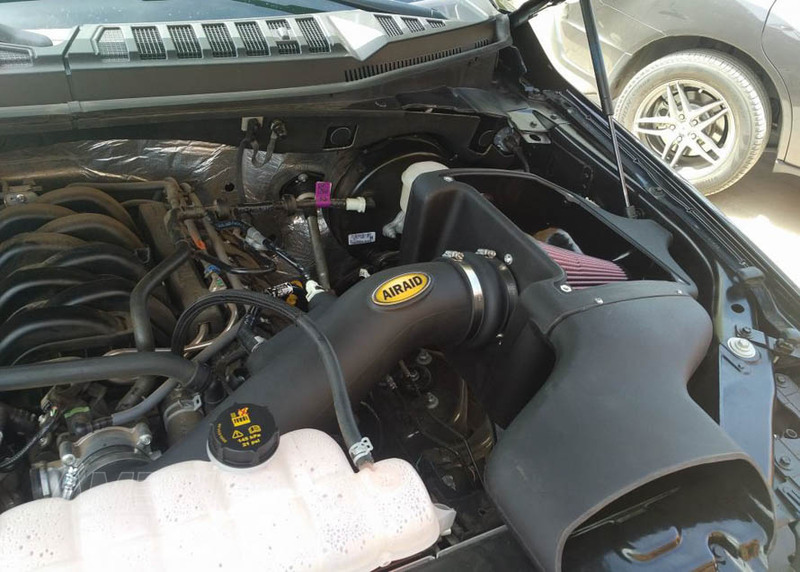 You could also get the Raptor’s 6.2L V8 in an FX2. 2014 was also the one year you could get an FX2 in a regular cab style while 2010-2014 you could get it as either a SuperCab or SuperCrew. The FX2 came standard with bucket seats and a flow through center console, while using bench seats in the rear. The 2010-2014 FX2 was available with both the 5.5’ bed and the 6.5’ bed. 2009-2014 FX4 F-150: A more off-road focused F-150, the FX4 was 4WD pickup truck that offered aggressive looks and rugged performance. The FX4 was a step between the XLT and the Lariat, offering enthusiasts a truck that could be all the way decked out with all of the best features the F-150 had to offer. The 2009 & 2010 FX4 was available with the 5.4L Triton V8 while the 2011-2014 FX4 F-150 could be had with either a 3.5L EcoBoost V6 or the 5.0L V8. For 2013 & 2014, you could also get an FX4 with the Raptor’s 6.2L engine. The 2009 FX4 came with a 40/20/40 split front bench seat with all 2010-2014 models come with bucket seats and rear bench seats. With the regular cab only being offered in 2014, all 2009-2014 FX4 pickups could be had as a SuperCab or SuperCrew and either the 5.5’ or the 6.5’ box. 2009-2014 Platinum F-150: The luxury version of the F-150, the 2009-2014 Platinum F-150 was designed to offer an enhanced visual appearance that was decked out with chrome trim as well as have a refined and more high-end interior. 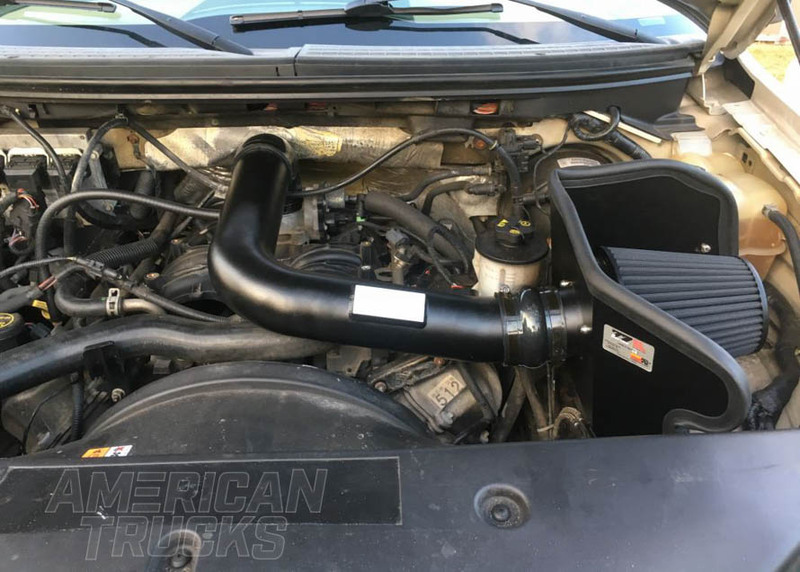 Available with either the 5.4L V8 in 2009-2010 or the 3.5L EcoBoost V6, the 5.0L V8, or the Raptor’s 6.2L V8 in 2011-2014, the Platinum F-150 could be optioned out just about any way you’d want it. Available only as a SuperCrew and with bucket seats, the 2009-2014 Platinum F-150 could be bought with both the 5.5’ and the 6.5’ bed. 2009-2014 F-150 Lariat: Continuing the tradition of offering a more dressed-up F-150, the 2009-2014 Lariat was another luxury version of the F-150. First introduced in 1978, the F-150 Lariat uses a distinct styling package that incorporates the use of two tone paint and chrome trim. The Triton 5.4L V8 was available for both ’09 & ’10 while the 3.5L EcoBoost, 5.0L V8, 6.2L V8 were available for 2011-2014. Coming in both SuperCab and SuperCrew cab styles, the ’09-’14 Lariat F-150 could be owned with either a 5.5’ bed or 6.5’ bed. The 40/20/40 split bench front seat was offered from 2009 to 2014 while the bucket front seats were offered only from 2011 to 2014. 2011, 2013-2014 F-150 Limited: The F-150 Limited was only offered in 2011, 2013, and 2014 and was based off of the Lariat’s platform. The Limited moniker is used through multiple Ford vehicles and is used to signal the vehicle is a more luxury-minded version than the other sub-models offered. The Limited F-150 used a heavy dose of chrome trim, most notably on the grille and mirrors, to give it a unique look rivaling that of some high-end SUVs. The F-150 Limited came with only a few different options such as only offering the 6.2L in 2011 and the 3.5L EcoBoost V6 in 2013 & ’14. You could only own the Limited F-150 as a SuperCrew with a 5.5’ bed and bucket seats. 2009-2014 F-150 STX: Designed to be a more affordable, yet sporty version of the F-150, the STX model was introduced in 2009 and produced through 2014. Although it was billed as being more stripped down, the STX model still came with aluminum wheels, roll-stability control, 1-touch windows, and body color matched front fascia and grille surrounds. The 4.6L and 5.4L V8 was offered in both ’09 & ’10, but the 3.7L V6 and 5.0L V8 replaced those offerings in 2011 and ran until 2014. Available as either a regular cab, SuperCab, or SuperCrew (2014 only), the STX F-150 could be had with the short 5.5’ bed or the common 6.5’ bed. The 40/20/40 split front bench seat was the common option throughout production while bucket seats were offered in 2009, 2010, and 2014. 2010-2012 Harley Davidson F-150: Only produced for three years, the Harley Davidson F-150 returned in 2010, offering enthusiasts an F-150 that had unique graphics, custom wheels, chrome trim, and a V8 engine. The 2010 version was available with only the 5.4L 3-valve Triton V8 while the 2011 and 2012 model was available with 6.2L V8. 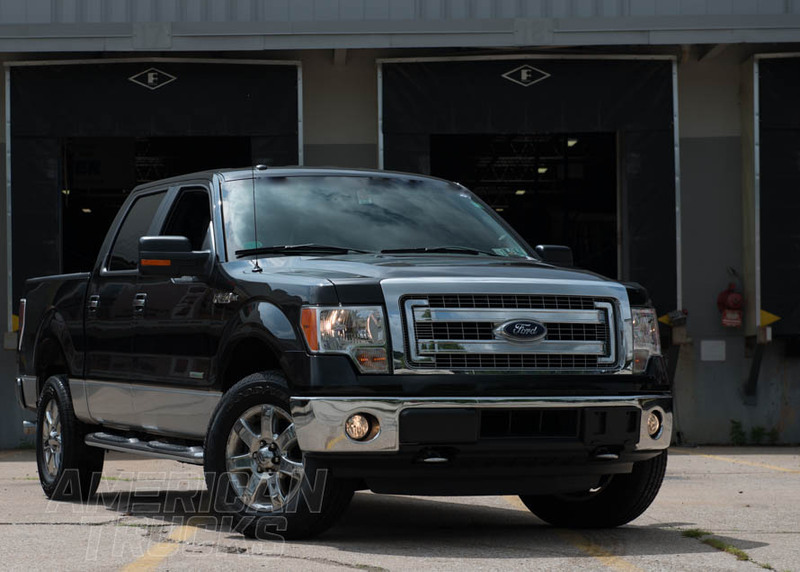 The 2010-2012 Harley Davidson F-150 could only be bough as a SuperCrew and with the 5.5’ bed. Bucket seats were standard as was a side exit exhaust right behind the passenger rear wheels. 2010-2014 F-150 SVT Raptor: Billed as being the ultimate street-legal, off-road ready truck you could buy, the 2010 Raptor was designed to run in the Baja 1000 off-road race. Using $10,000 in FOX suspension parts and coming with 11” of suspension travel, the Ford Raptor offered affordable off-road performance that could hold its own in stock trim. Typically, almost all 2010-2014 SVT Raptors were sold with dealer markups that ranged anywhere from $5,000 to $30,000 over sticker price. The 2010 Ford Raptor used the 5.4L V8 while the 2011-2014 model used the larger 6.2L V8 engine. Originally the Raptor was made as a SuperCab, but starting in 2011 you could buy it as a SuperCrew or SuperCab with the 5.5’ box. Bucket seats were standard on all Raptors as was a noticeable black graphics package that went on the side/rear quarter panel. However there was the option of “deleting” it at the dealer. 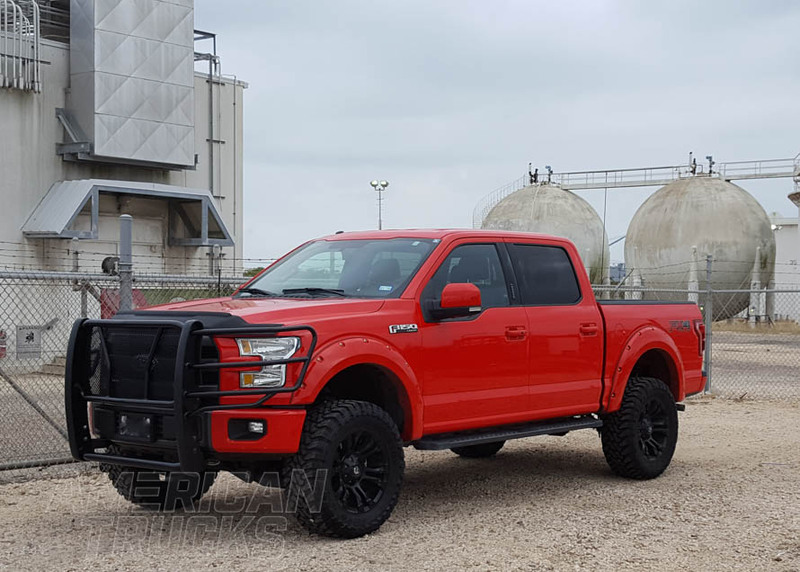 Special Edition 2014 Raptor: For 2014 Ford offered the Special Edition Raptor which was available in only Ruby Red Metallic or Tuxedo Black Metallic paint. The interior was upgraded with brick red seat bolsters with black inserts and cloth honeycomb highlights, brick red headrests, a revised console top, and center stack and door panel applique accents. The exterior also had updated with one-off graphics. However, the rest of the features were the same as your standard 2014 Raptors. 2014 FX Tremor F-150: The 2014 FX Tremor F-150 was based on the FX package, but offered a short list of more sporty options to give the truck a more performance minded being. It was only offered with a regular cab and the 3.5L EcoBoost engine, but you could get the FX Tremor in either 2WD or 4WD. All Tremor F-150s came with steep 4.10 gear ratios for quick acceleration, flat-black wheels, and accents with red and black emblems for an intimidating look. All 2014 FX Tremor F-150s came with “Tremor” decals running down the bedsides and red stitching on the steering wheels and seats. The eleventh generation of the F-150 was available with a wide selection of engines, trim packages, colors, trims, and drivetrains. The 2004-2008 range is when Ford started to become more invested in off-roading and enthusiast driving, offering more off-road ready sub-models designed to tackle tougher terrains. The wheelbase for the 2004-2008 F-150 is determined by the cab style as well as the bed size. Regular Cab F-150s with a 6.5’ bed have a 126” wheelbase while the 8’ have a 144.5” wheelbase. Hoping up to the SuperCab style 2004-2008 F-150, the 5.5’ bed had a 132.5”, the 6.5’ bed had a 144.5” wheelbase, and the 8’ bed came with the largest wheelbase of all, 163”. 2004-2008 SuperCrew F-150s were available with only 5.5’ and 6.5’ beds, coming in 138.5” and 150.5” wheelbases respectively. 2004-2008 XL F-150: For 2004-2008 the XL became the new base model for the F-150 line up, offering a low-cost entry option for a versatile F-150 that can handle everything from the most demanding of jobs to hauling the family around and commuting to work. The XL F-150 was offered in regular cab, SuperCab, and SuperCrew cab style with a 5.5’, 6.5’, and 8’ box bed respectively. The 2004-2008 XL F-150 came standard with a front bench seat in 2004. However in 2005 it switched to front bucket seats with a center console in the middle for the remainder of the generation, while the rear kept the bench seat all throughout. The 2004-2008 XL F-150 could be bought with either a 4.2L V6, 4.6L V8, or a 5.4L V8. The 5.4L Triton V8 was available only with an automatic transmission while the 4.2L V6 and 4.6L V8 could both be owned with either an automatic or manual transmission. 2004-2008 XLT F-150: One step up from the XL, the 2004-2008 XLT F-150 offered a small amount more of creature comfort while still being focused on utility. The 4.2L V6, 4.6L V8, and 5.4L V8 were options under the XLT trim for the 2004-2008 F-150 with only the 5.4L being automatic only. The ’04-’08 XLT F-150 was available as either a regular cab, SuperCab, or as a Super Crew with either a 40/20/40 split bench front seat and rear bench seat or with bucket front seats and a flow through console. 2004-2008 Lariat F-150: The Lariat trim package of the 2004-2008 F-150 was an appearance focused package that added chrome trim around the F-150 and guaranteed you an automatic equipped 5.4L Triton V8. It was offered as both a SuperCab and SuperCrew cab style with both the 5.5’ bed and the 6.5’ bed. As far as seating is concerned, the Lariat could be bought with either a 40/20/40 front split bench seat or with bucket seats and a flow through center console while the back was equipped with a bench seat. 2004-2008 STX F-150: 2004-2008 STX F-150s came with three engine options, the 4.6L V8 (which was standard from 2004-2008), the 4.2L V6 (introduced to the submodel in 2005 and offered through 2008), and the 5.4L V8 5.4L V8 (introduced in 2007 and optional through 2008). All engines came standard with a 4-speed automatic transmission and were available in either regular or SuperCab configurations. The STX was available with both 40/20/40 split bench seats as well as front buckets with a center console starting in 2005. 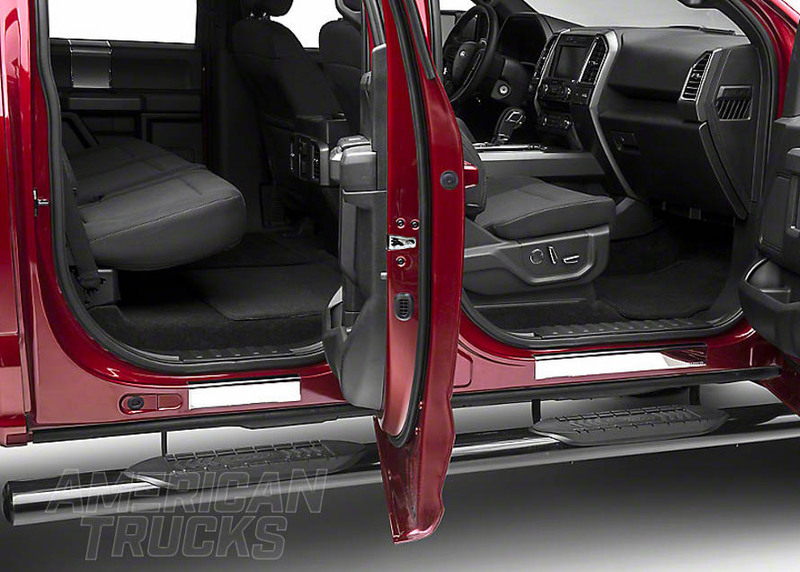 The STX could be had with either a 5.5’ bed or a 6.5’ bed. 2004-2008 FX2 F-150: The 2004-2008 FX2 F-150 was created to be a more affordable option than the FX4, available only as a two-wheel drive truck. Available with both manual and automatic transmissions, the FX2 could only be had with a V8 option with the 4.6L or 5.4L engine. Bucket seats with a center console in the front and a rear bench seat was the only option for the 2004-2008 FX2. 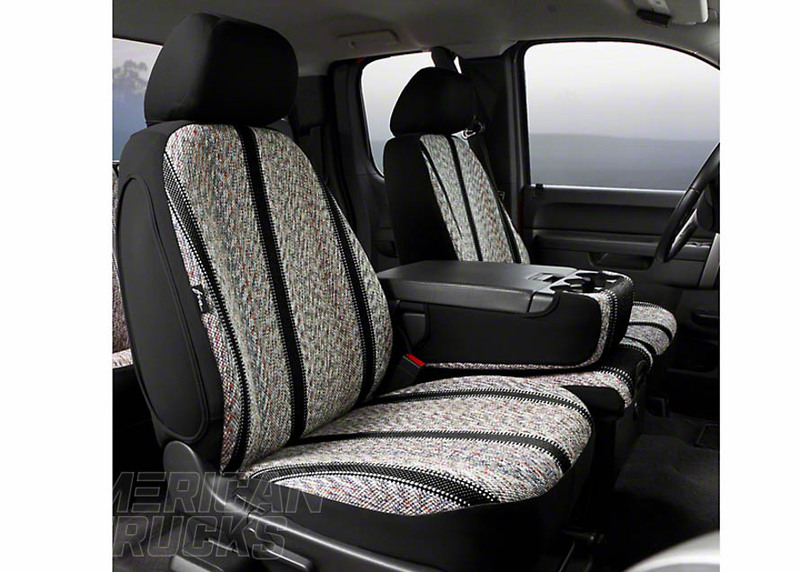 Backseats were a standard feature on all FX2 F-150s as it was available in either SuperCab or SuperCrew cab styles with either a 5.5’ box or a 6.5’ box. 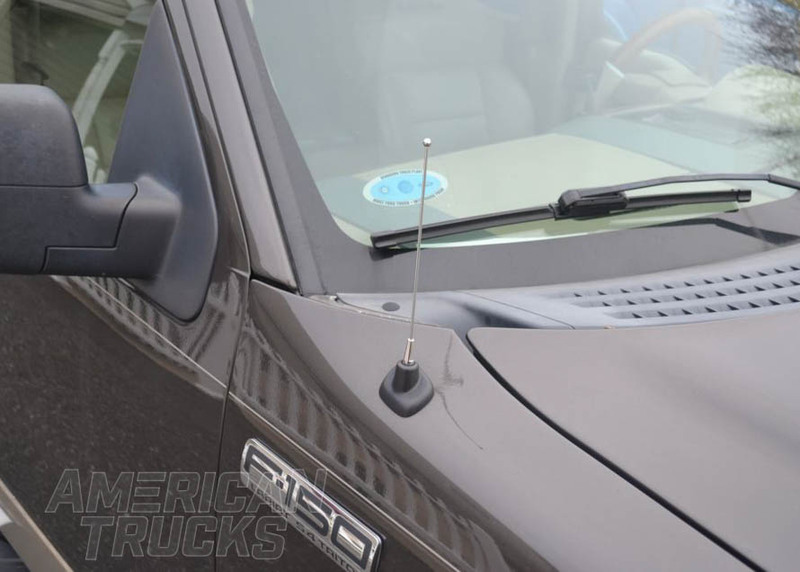 2004-2008 FX4 F-150: The FX4 was a more luxury based trim package for the 2004-2008 F-150, rivaling features and trim found on the same year Lariat model. The 5.4L V8 was the only engine option available for the FX4 as well as a 4x4 drivetrain. Bed options included both the 5.5’ box and the 6.5’ box, but the FX4 could be owned in regular, SuperCab, or SuperCrew cab styles. When it comes to seating, you could own the FX4 with 40/20/40 split bench front seat or bucket seats with a flow through console. 2004-2008 King Ranch F-150: Created in homage to livestock Texan farmer Richard King, the 2004-2008 King Ranch was available with only the 5.4L Triton V8, an automatic transmission, and as a SuperCrew cab. Bucket seats with a center console were standard issue on all King Ranch pickups, with a rear bench seat. A more luxury minded F-150 that was outfitted with a mix of chrome trim, a unique brown paint color, and a unique leather interior decorated with the trim package’s name, the King Ranch F-150 could be owned with either a 5.5’ bed or a 6.5’ bed. 2006-2008 Harley Davidson F-150: A continuation of the popular trim package first offered during the tenth-generation F-150 (1997-2003), the Harley Davidson F-150 was outfitted with a mix of appearance upgrades such as chrome trim and a graphics package that prominently featured the Harley Davidson logo, making it a more high-end/luxury pickup that maintained its truck roots. Once again, the 5.4L Triton V8 was the only engine option for the 2004-2008 Harley Davidson F-150. For 2006, you could buy a Harley Davidson F-150 as a SuperCab with a 6.5’ box, but for 2007 and 2008 it was offered as a SuperCrew cab style with a 5.5’ box. 2008 F-150 Limited: The F-150 Limited was introduced at the very end of the eleventh-generation F-150 production. It was designed to be a luxury F-150 with more of a high-end appearance with color matched bumpers, chrome wheels, a center dash shifter, and color matched bumpers. The 2008 F-150 Limited was only available with a 5.4L triton V8 and automatic transmission, and could only be optioned with a SuperCrew cab style and 5.5’ box. 2008 Foose Edition F-150: Based on the FX2 platform and only available as a SuperCrew cab and in 2WD, the Foose Edition F-150 was an ultra-low production F-150 with only 500 examples created. The ’08 Foose Edition F-150 was outfitted with a Roush Supercharged 5.4L V8 making 450 HP and 500 TQ and sat on 22” Foose with 275 Pirelli tires. The Foose Edition F-150 was modified with a mix of Foose parts like a Foose body kit, Foose stripping with “Foose Design” decals, Foose upper and lower grilles, embroidered headrests, floormats, and personalized build badges. The Foose Edition F-150 was upgraded with Eibach coil springs in the front and Eibach leaf springs in the rear, Sachs dampers, and Jounce bumpers. Available only in black, grey, red, and white paint, the Foose Edition F-150 was also modified with a Ford Racing cat-back system to give it a throaty growl. 2007-2008 Saleen S331 F-150: Using the FX2 as the foundation, the Saleen S331 F-150 was named the S331 since it was only available with a 5.4L engine which is 331 cubic inches. Aftermarket manufacturer Saleen would take a normal F-150 and outfit it with a Saleen Body Kit, 23” wheels, side exhaust pipes (SuperCab only) or a rear exit exhaust (SuperCrew only). In 2007, prospective owners could choose from owning a 5.4L naturally aspirated V8 or a supercharged version of the same engine. The Saleen supercharged 5.4L V8 was the only available engine option in 2008, but it could be purchased in Oxford White, Bright Red, Black, Dark Shadow Grey, or Red Fire. 2008 60th Anniversary F-150: Marking 60 years of F-150 production the 2008 60th Anniversary F-150 was based off of the XLT model and available only as a SuperCab & SuperCrew with styleside box. It sported a variety of custom components such as 60th anniversary badging, 20” machined wheels with 60th anniversary badges, Chrome H-bar grille, 5” chrome tubular step bars, chrome exhaust tips, a custom stitched center console with 60th anniversary edition badge, and serialized plates. The 2008 60th Anniversary F-150 was available only in two paint options, either Black with Dark Shadow Grey accents or in Dark Shadow Grey with Black accents. Each variant of the 1997-2003 F-150 offered a different combination of engine sizes, wheelbases, seats, transmissions, drivetrain options, and general styling. Depending upon which trim you bought your F-150 in, it could have come with several different wheelbases. If it was a styleside with a regular cab (single front bench seat) it would have a 120” or 139” depending on if it had a 6.5’ or 8’ bed. If it was a SuperCab (front bench seat and rear bench seat) those numbers jump up to 139” for the 6.5’ bed and 157” for the 8’ bed. The SuperCrew (full front and rear doors with either rear bench seat or bucket seats) was only available with a 5.5’ bed, giving it a 139” wheelbase. If you happened to have chosen to own a Flareside style F-150, which was available only on Lariat, Lightning, XL and XLT F-150s, then you were only able to have a 6.5’ bed which equated to a 120” wheelbase for regular cabs and 139” wheelbase for the SuperCab. 1997-2003 Base Model F-150: The 1997-2003 Base Model F-150 was the bare bones truck option for people who only cared about utility and getting the job done. The Base Model was available with either the 4.2L V6 or the 4.6L V8, both of which could be had with an automatic or manual transmission. You could choose between a Regular cab style that offered only a front bench seat or SuperCab style that came with both front bench seats and rear bench seats. 1997-2003 F-150 XL: The ’97-’03 XL F-150 was offered in both regular and super cab styles with either a 4.2L V6, 4.6L V8, or 5.4L Triton V8. The 4.2L and 4.6L engines were available in both manual and automatic while the 5.4L V8 was available with only an automatic transmission. The XL F-150 trim used bench seats in both the front as well as the rear passenger area (if it was the optional super cab style). 1997-2003 XLT F-150: The 1997-2003 XLT F-150 was a step up in trim from the XL (hence the added letter) and could be had with a 4.2L V6, 4.6L V8 or 5.4L V8. Aside from the 5.4L, which was available with an automatic only, the 4.2L and 4.6L engines could be bought with a column-shifted automatic or a floor mounted shifter. The XLT F-150 could be bought in three different cab styles which included a regular cab that only had a front bench seat, a SuperCab that had front and rear bench seats, or the SuperCrew option that was offered from 2001-2003 and had front bucket seats and a rear bench seat. 1997-2003 F-150 Lariat: The Lariat F-150 was designed to be more of a ranch truck while offering a nice interior and factory stylized look. With no V6 option, the Lariat was available with either the 4.6L V8 or the 5.4L V8. The 4.6L engine was available with both a 4-speed auto and a 5-speed manual while the 5.4L was available with only a 4-speed manual. 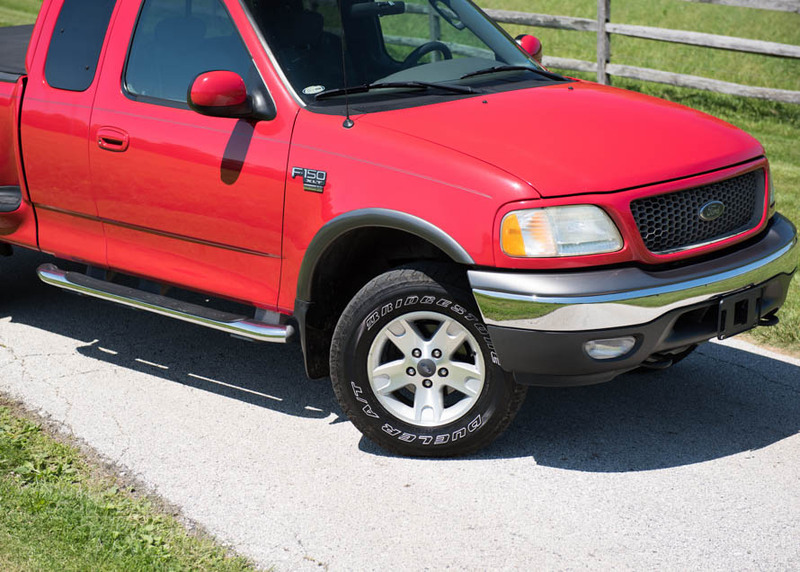 The ’97-’03 Lariat F-150 offered the same can options as the XLT which ranged from the regular cab that came with only a front bench seat, the SuperCab which added a rear bench seat, or the SuperCrew format that was available starting in 2001. The SuperCrew swapped out the front seat for front buckets/captain’s chairs. 1999-2003 F-150 Lightning: The Lightning F-150 was only offered from 1999-2003 in this body style, paying homage to the previous body style “gen 1” Lightning made from 1993-1995. The Lightning was designed to be a hot rod pickup truck that was more of a wolf in sheep’s clothing, donning the appearance of a pickup while offering the performance of a hot rod. The 1999-2003 Lightning was offered only with a 5.4L-supercharged V8 that produced 380 HP and 450 TQ and was backed by a 4-speed automatic. The Lightning wasn’t much of a family car as it was only offered with a single front bench seat and regular cab style. 1997-2003 King Ranch: Named after Richard King and his Texas based ranch, the 1997-2003 King Ranch F-150 was a luxury pickup that still maintained its versatility, while coming with some creature comforts than your run of the mill F-150. Offered only with a V8 engine in either 4.6L or 5.4L sizes, the King Ranch could only be owned with a 4-speed automatic transmission. The King Ranch F-150 came standard with front bucket/captain seats. However it also came standard with rear bucket seats as well until 2002 when a rear bench seat option was introduced. The King Ranch could either be bought as a SuperCab or as a SuperCrew, giving you a truck that came with a good bit of interior space. 2000-2003 Harley Davidson F-150: The Harley Davidson F-150 was mainly an appearance package for the F-150 offered solely in black paint. You could only get the Harley Davidson F-150 with the 5.4L V8, a naturally aspirated version in 2000 and 2001, and a detuned version of the Lightning’s supercharged 5.4L in 2002 and 2003. 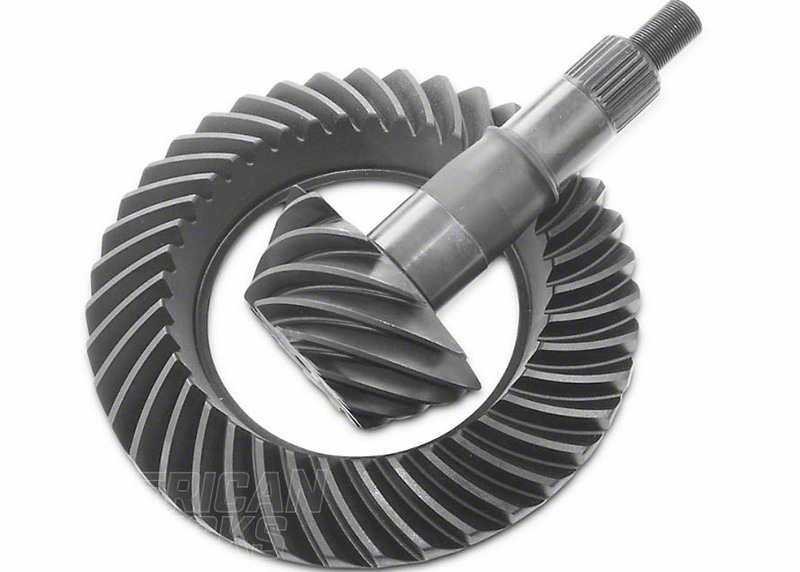 Both of which were available with the same 4-speed automatic. The 2000 Harley Davidson F-150 was offered as a SuperCab in 2000 and as a SuperCrew in 2001-2003. Front bucket seats were standard on the Harley Davidson F-150, however it first came with a rear bench seat in 2000 and then switched to the rear bucket seats in 2001-2003 along with the cab switch. All Harley Davidson F-150s came with a graphics package that highlighted the Harley Davidson relationship with Ford. 2003 Heritage Edition F-150: The Heritage Edition of this generation of F-150 was only offered in 2003 and was used to celebrate Ford Motor Company’s 100 year anniversary. There were only 15,000 Heritage Edition F-150s made, however production carried over to 2004 models as well.